Let's start by thanking Avi Selk, Sarah Mervosh, and Julieta Chiquillo of the Dallas Morning News for bringing this story into the light and into the hearts and minds of the "public". 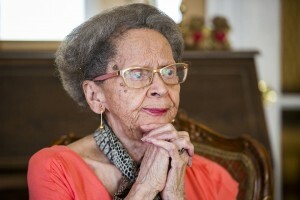 Yesterday I wrote - 93-year-old with Alzheimer's being sued by Dallas Real Estate Firm. The story was about how a means spirited real estate company in Dallas was suing a 93 year old Alzheimer's patient in Dallas. The CEO of Henry S Miller agreed to drop the suit due to the public outrage in Dallas. Sadly, the "idiot" CEO threatened to walk out on the deal if his demand of "good press" was not met by the family. So more or less, he turned what looked like a "good deed" and public relations coup for his company into nothing more than a business deal designed to save the company bacon. I was happily and merrily reading the story until I got to the part where mean spirited CEO Greg Miller more or less destroyed his own reputation by making a demand, and then packing up his papers and threatening to leave. He claimed that his company had been "smeared in the press". Hey Vaughn, maybe the company needs a new CEO. And, Henry S Miller CEO Greg Miller somehow managed to tarnish even further his already tarnished reputation. The comments under this newest article in the Dallas Morning News are pretty good and indicate the public disdain for Miller. You might want to go and take a look, and write your own comment. 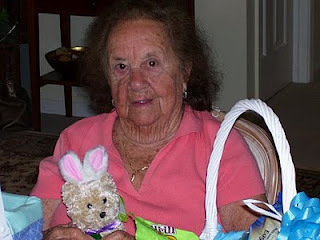 Here's a picture of Dotty and the Easter Bunny. Happy Easter to Ruth and Leena Sanders.